Jalen Sherald is the Client Engagement & Learning Associate of The Winters Group, Inc. He is passionate about equity and inclusion in the workplace. He is particularly interested in the role diversity and inclusion plays in conflict mediation and resolution in the workplace and community settings. With his background in human resources, Jalen has an understanding of the complexities associated with managing diverse human capital, particularly as it relates to policies and procedures. As the Client Engagement & Learning Associate, Jalen aides in the coordination of our client intake process, support in the development of proposals, and managing the design and delivery of our virtual learning labs. 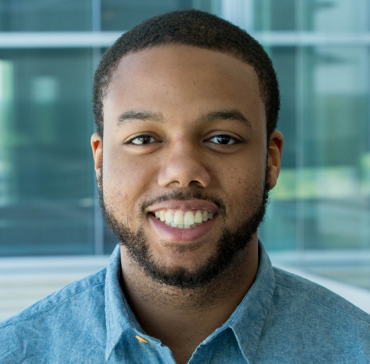 Prior to joining The Winters Group, Jalen worked as a Senior Human Resource Coordinator at a midsized technology company in Reston, Virginia. Jalen’s primary job functions focused around onboarding and payroll, and he constantly sought out ways to incorporate diversity & inclusion work into his day to day responsibilities. In his free time, Jalen enjoys volunteering by leveraging his time and experiences to impact youth. He also loves stimulating conversation around race and gender. Jalen holds a Bachelor of Science degree in Conflict Analysis & Resolution from George Mason University and Masters of Professional Studies in Human Resource Management with a focus in Diversity & Inclusion from Georgetown University.